I hope you all had a wonderful Valentine's weekend with your loved one(s)! Since the Valentine's weekend might be a sugar rush for so many people. 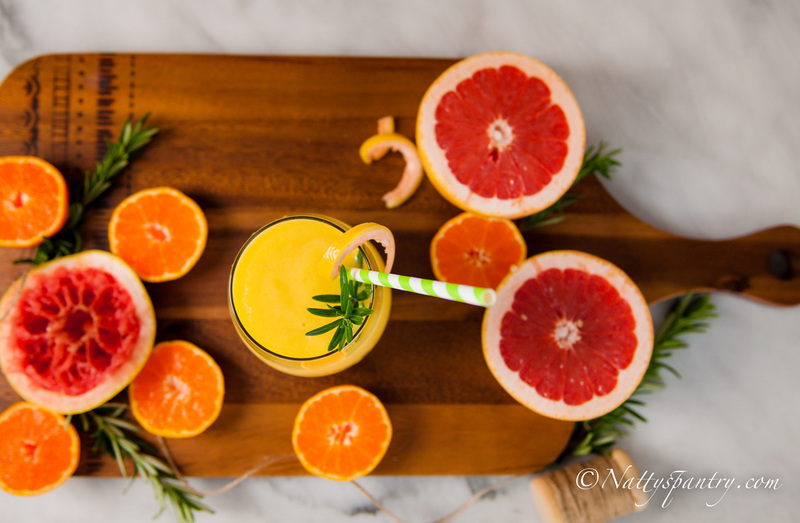 Let's flush the sugar out of the system with this "High Vitamin C Smoothie"; bright red grapefruit, fresh squeezed orange juice and frozen mango are complements with aromatics from fresh Rosemary, which gives you a great jumpstart for the morning. Rosemary balances out the acidity well plus I add some sweetness to the party with liquid stevia. 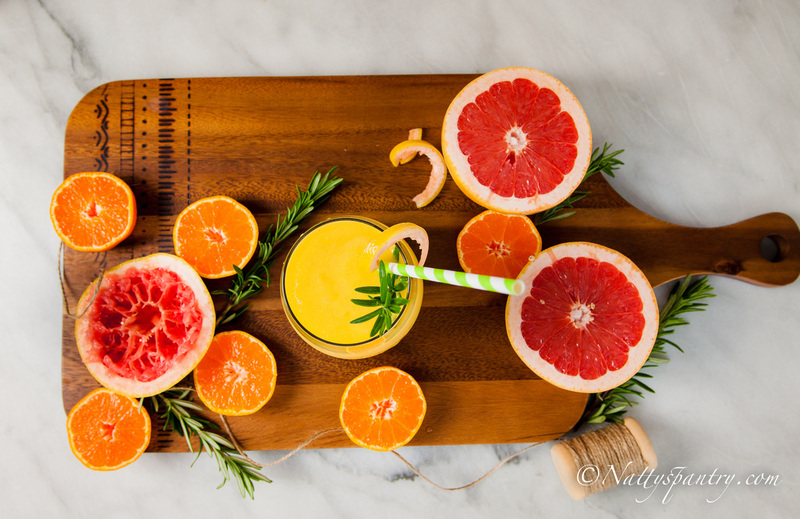 This “High Vitamin C Smoothie” is a great start for someone who is fighting a cold. Let's talk about the Citrus season which is between November to June. 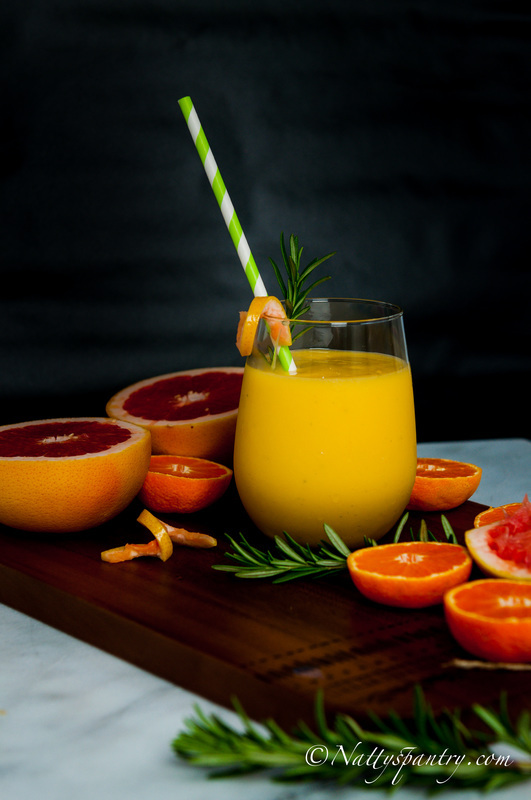 There is a variety of citrus fruit selections for you to pick, and my favorite citrus fruits are Tangerines, Ruby Red Grapefruit, and Temple Oranges. I did some more research so I could be able to line up the smoothie plan through this season. And I would like to share this citrus calendar with you, just in case you need it. Tangerine - out around NOV to APRIL. Tangelos - out around NOV to DEC.
Navel Oranges - out around NOV to DEC.
HoneyBells - out around January. Temple Oranges - out around February. Ortaniques - out around MAR thru APR. Valencias - out around MAR thru JUNE. Ruby Red Grapefruit - out around Nov to May. White Grapefruit - out around Nov to May. Crimson Grapefruit -out around Nov to May. 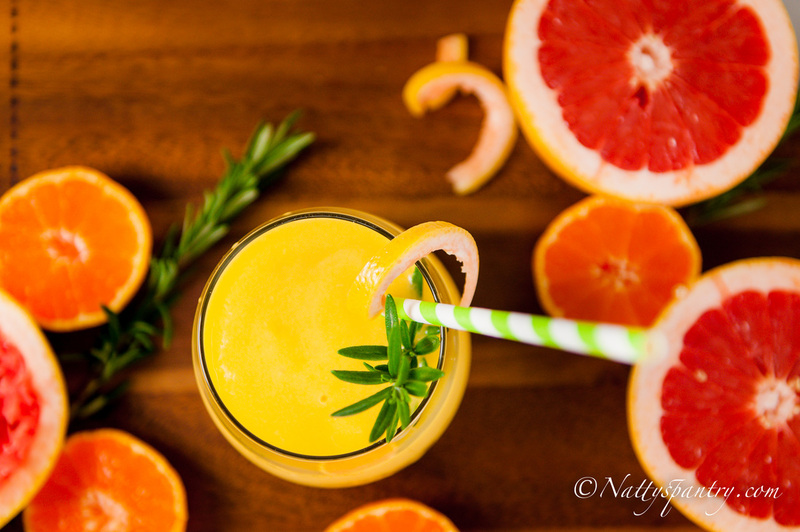 In the blender mix mango, grapefruit, orange juice, fresh rosemary, and liquid stevia. Blend all ingredients until smooth- about 1 minute.